It’s shaping up to be a knit-packed weekend here in Portland, Oregon! Knit Picks is having a WWKIP (Worldwide Knit in Public) Day event this Saturday, June 10. I’ll be one of the guest designers there; come say hi if you’re local! It’s from 1 to 3 p.m. at Overlook Park. 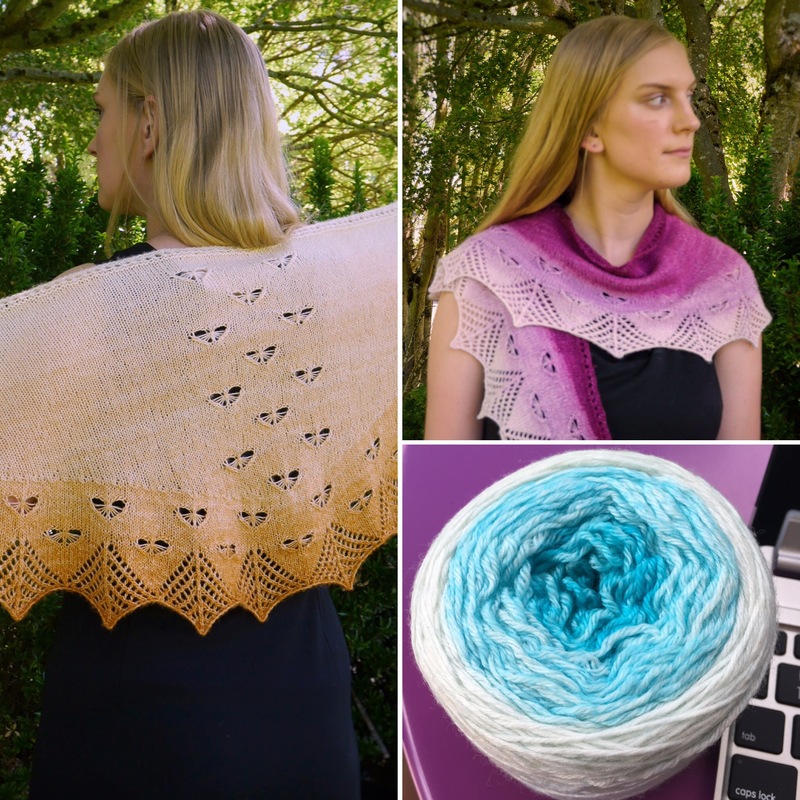 Refreshments, door prizes, and yarn sampling! 1/2 cup nuoc mam (Vietnamese fish sauce) I use 3 Crabs brand. Red Boat is also good, and it’s gluten-free if that’s an issue. In a quart-size jar with tight-fitting lid, combine marinade ingredients. Seal and shake until sugar is dissolved. Marinate wings/drums in sauce about 4 hours in refrigerator. Grill wings/drums on medium-low temp to brown and cook through, turning every 5 minutes. Drumsticks take about 25-30 minutes. I’ve never used wings, so you’re on your own for timing. They’re traditional, though. 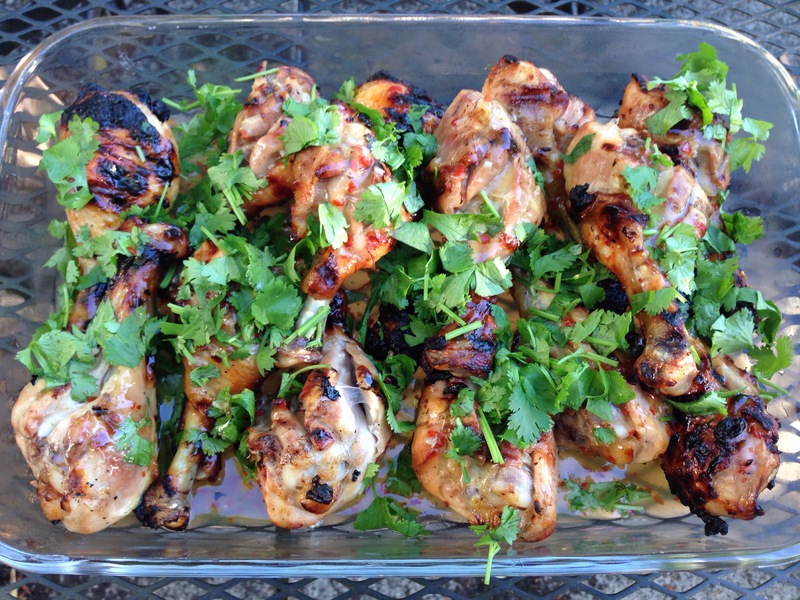 While grilling, put about half the remaining marinade into a sauce pan and bring to boil. Add cornstarch/cold water mix to thicken a bit, I used about 2 teaspoons of corn starch. When wings/drums are done, put in large bowl, pour in some thickened glaze and stir. Arrange on platter and garnish with cilantro. This entry was posted in foodies!, KAL, Knit, Portland area fun, recipe and tagged Go Tell the Bees, Go Tell the Bees KAL, Vietnamese chicken, WWKIP Day. Bookmark the permalink. Thanks for the knit invite. OOT but I would be there if I could. Recipe is something I will try this weekend. Yum Thanks for sharing. What did you serve with the chicken? Oh, that chicken looks great!